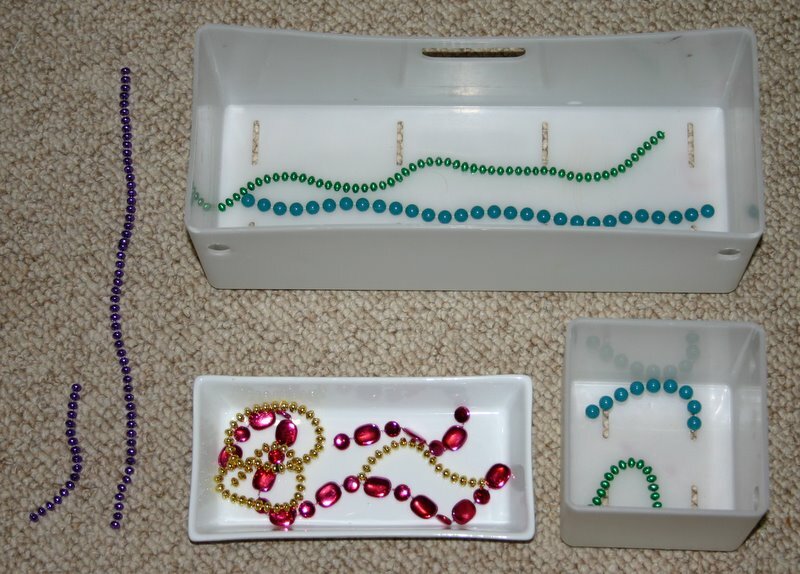 The child first finds the two matching pieces (strings of coloured beads in the tray above) and places them together to make a pair (a matching activity in itself.) 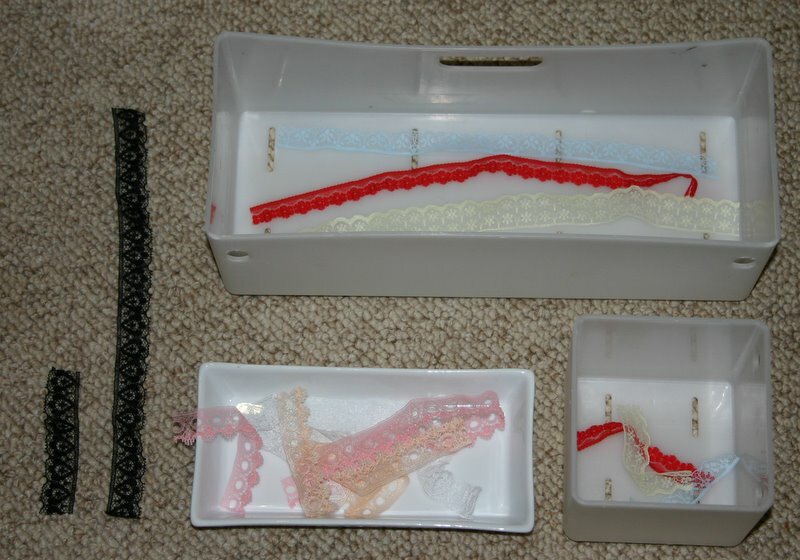 They then sort the pair into the “long” or “short” containers which are also long and short in themselves to reinforce the concept. 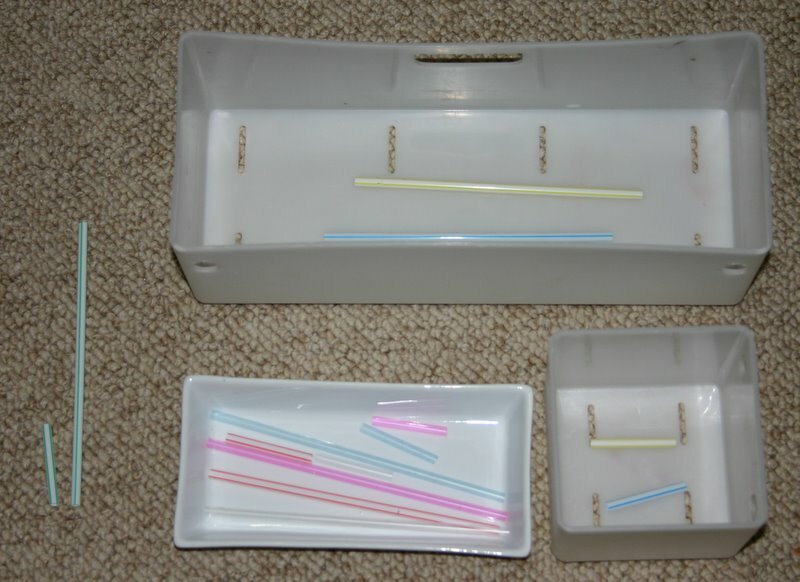 After a week or two, when they are losing interest in the material they are sorting, I simply change it for a new material, leaving the containers and tray set up the same. Interest is revived and the concept is practised and reinforced. 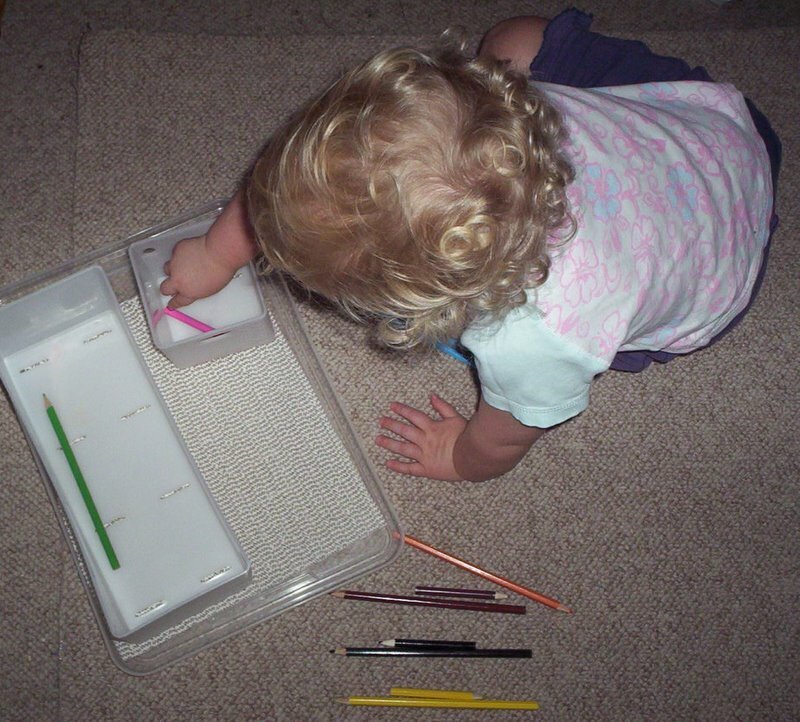 My daughter who last used these length activities was 2 years and 2 months of age when she started and easily grasped the the concept. 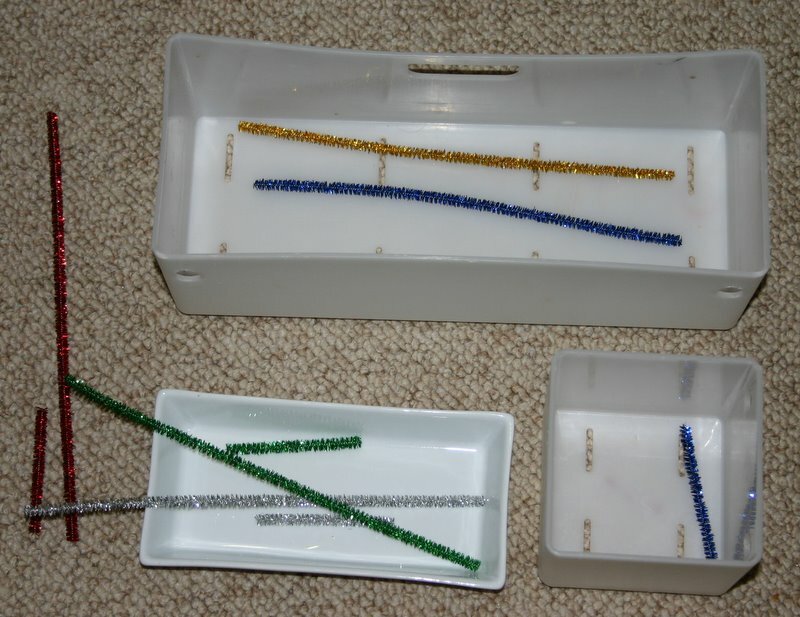 I used the Montessori activities while I was breastfeeding because it allowed me to supervise, encourage and explain if necessary while she was well occupied with challenging, yet age and developmental appropriate and enjoyable activities. Matching, comparing and sorting coloured ribbons. Matching, comparing and sorting coloured pencils. 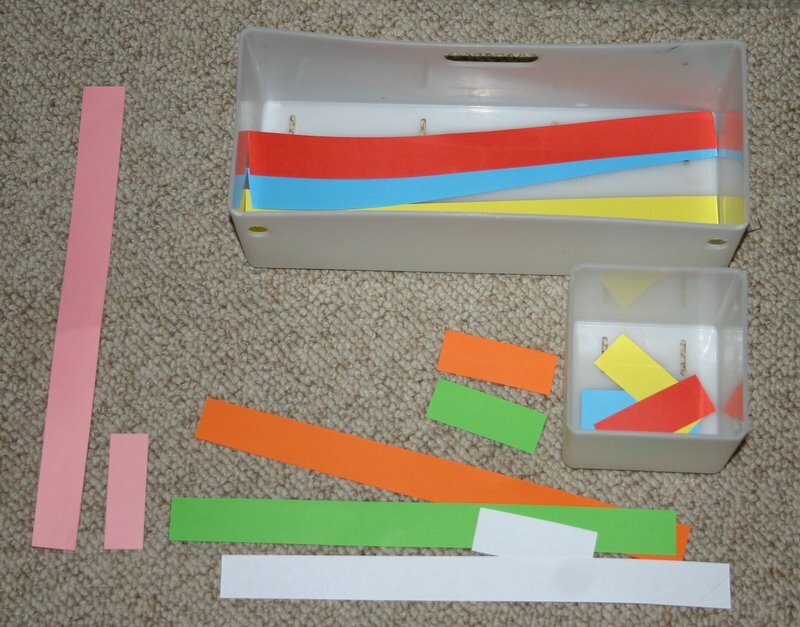 Matching, comparing and sorting strips of coloured paper. 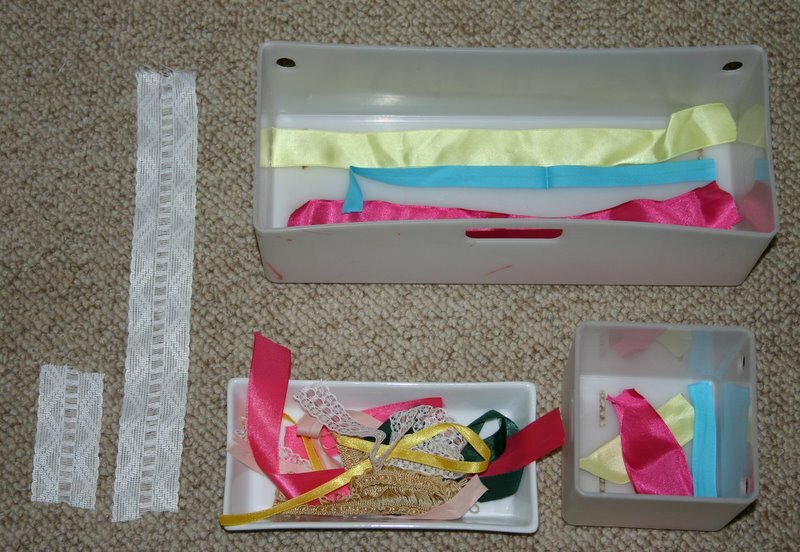 More lace ribbons to sort and compare. 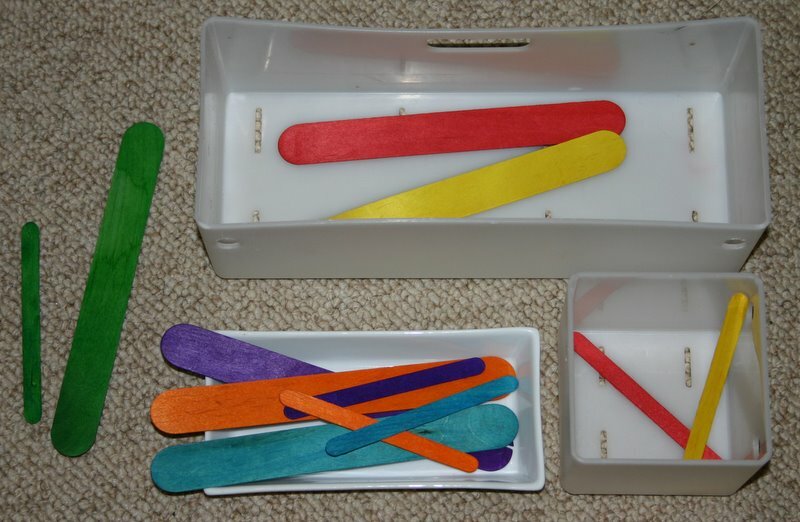 Ideally the popsticks should be the same thickness so as not to confuse a child with two changing attributes; length and width. I may have been better to use the large popsticks and cut some shorter rather than use the two different kinds. It didn't seem to worry my daughter though. 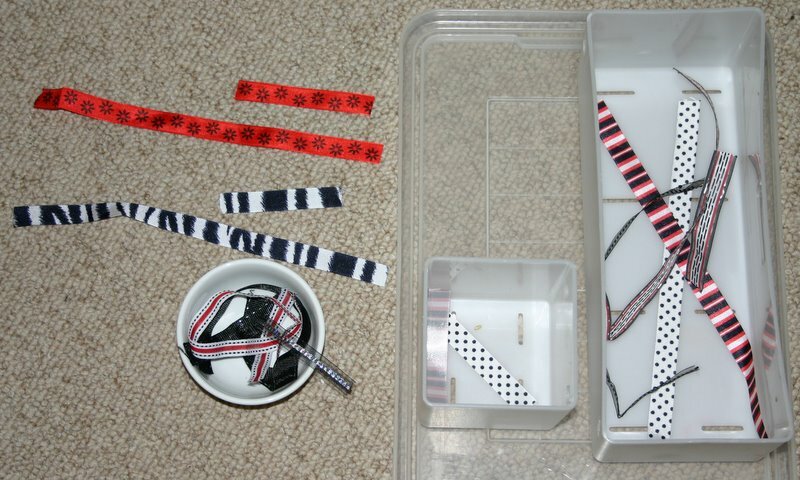 Matching, comparing and sorting more coloured ribbons. Matching, comparing and sorting coloured straws.